Two weeks ago, I went to the last class I signed up for through the City of Portland’s Urban Growth Bounty series: All About Tools. 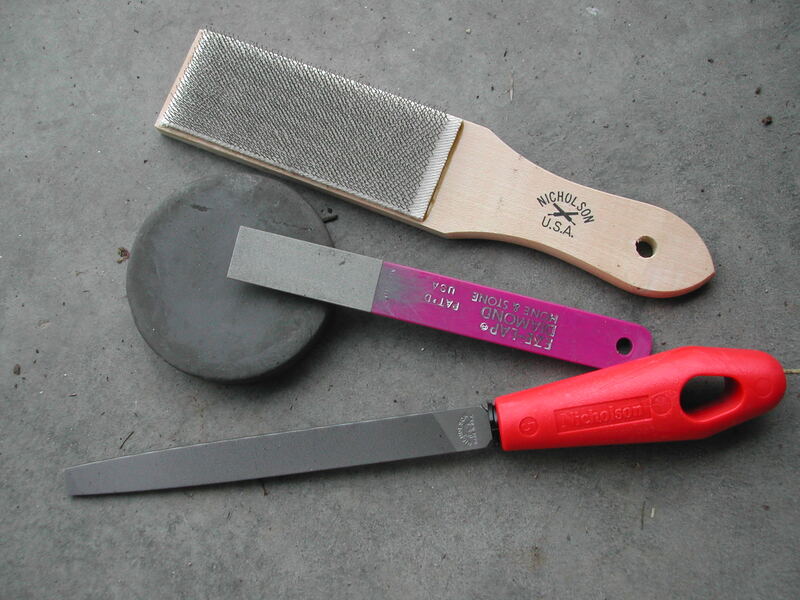 I wanted to learn how to maintain my tools (clean, sharpen) and to find sources for really good, solid, sturdy tools. A two hour class really is not enough time to learn all about tools, but I did come away with enough information to get started. 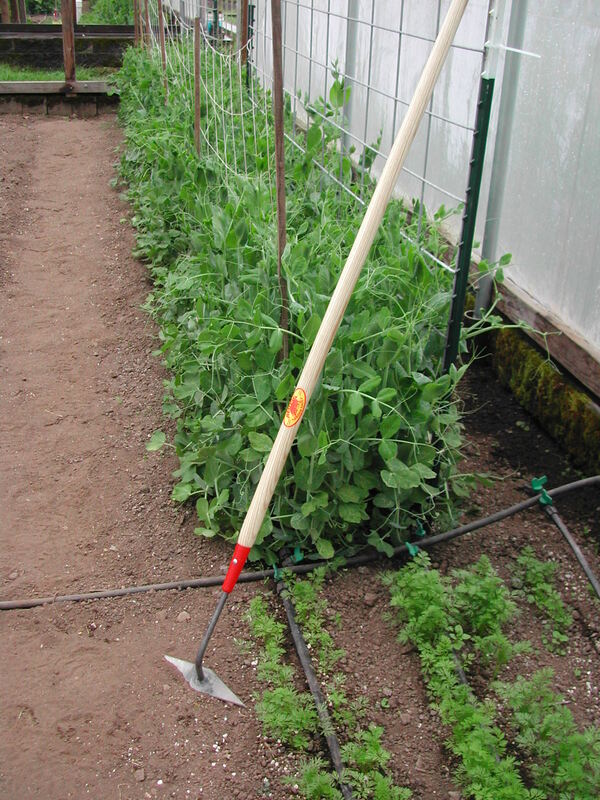 The one source of tools the instructor recommended was Red Pig Garden Tools out in Boring, Oregon. I had heard of Red Pig Tools before and had also heard that they were pretty expensive tools, though worth the money. I knew it would be some time before I would take a trip out to their store, so it was quite serendipitous when I saw their booth at the Spring Garden Fair in Canby a few days later. Very impressive; these are sturdy, handmade tools, made to work well and to last. And they were not as expensive as I was expecting. 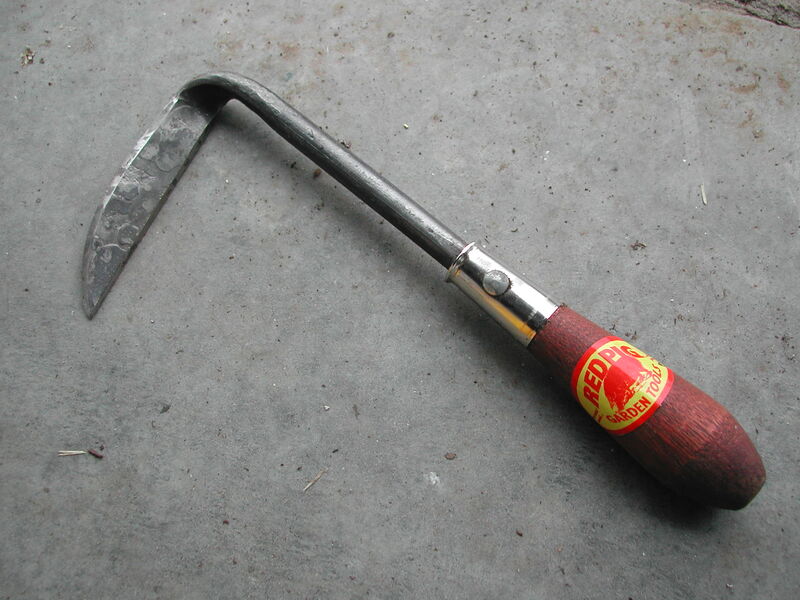 I left with two new weeding tools, a long-handled diamond scuffle hoe and a Cape Cod weeder, and the idea that I will be visiting their store in the future. The tools, of course, lead to the weeds. April showers may bring May flowers, but for sure they bring weeds. Weeds have been difficult for me, for a few reasons. One is the way I plant: putting things very close together. The result of this is, most tools are too big to fit between the plants and I need to weed by hand. Once plants get big enough, they can shade out or out compete the weeds and it isn’t so bad. But this time of year, the weeds grow faster than the plants and it is easy for them to take over. Then, weeding is time consuming. I spent quite a bit of time last week weeding carrots and peas, very carefully, by hand. Fortunately, now that that initial weeding is done, there shouldn’t be much of a problem in those beds. Another reason weeding is difficult for me is because I still think like a gardener. I like things to look good. I like to work by hand. I need to let that go and let the farmer come out. The weeds can die just as easily in the bed as in the compost bin, though it doesn’t look as beautiful as I would like it to. I need to learn to use faster weeding tools, like scuffle hoes with long handles, figure out which ones will work best for the plant spacing I use and decide where I will still need to weed by hand. I also just need to get after the weeds sooner, while they are small and can be taken out with a scuffle hoe. The weeds will grow and I will not give up. Now that I have some shiny new tools, I am looking forward to the challenge. 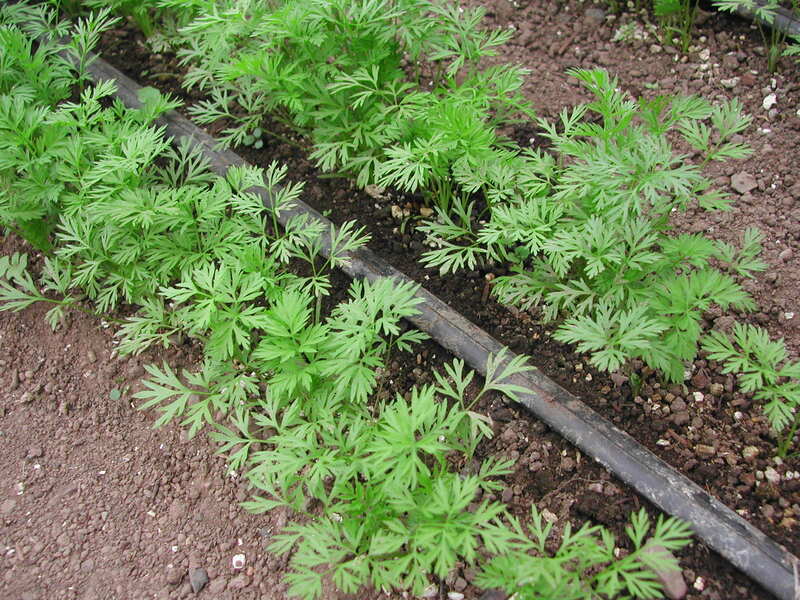 Now that the carrots are weeded, they are ready to thin.